It’s 93 in Minnesota right now with a lot more humidity than my San Diego bones are used to, therefore, cool light salads it is! Kind of a random concoction of things we had on hand and needed to be used (you know how all your mangoes and avocados ripen at the exact same time), crossing fingers it’d be tasty. Seth and I both LOVED it. Very easy. This version served 2, but could easily be doubled, etc. 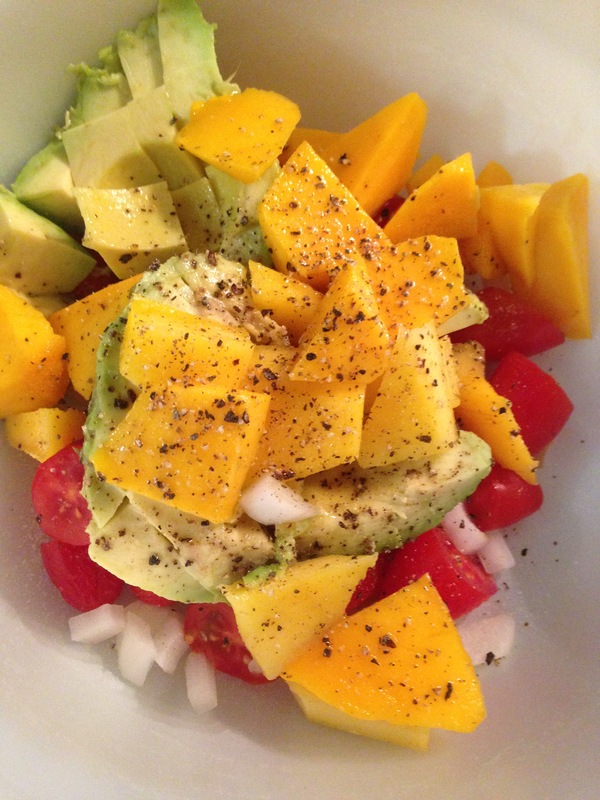 Mix everything in a bowl, and serve! 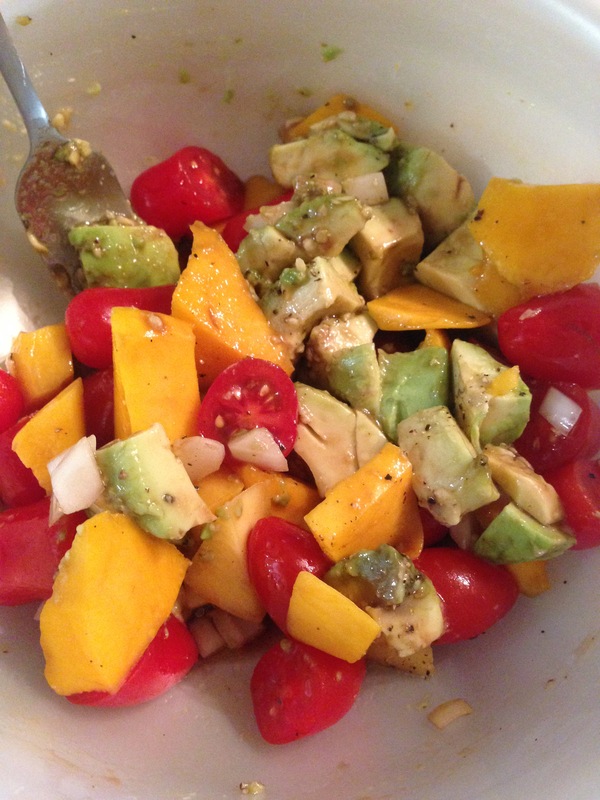 This entry was posted in Recipes and tagged Avocado, Mango, Mango Summer Salad, Paleo, Summer by livinglikelinds. Bookmark the permalink. Great idea ! Sometimes we don’t want lettuce based salad and this version is perfect. Thanks. Sure Elena! My husband LOVED it, as did I! Super simple, too.